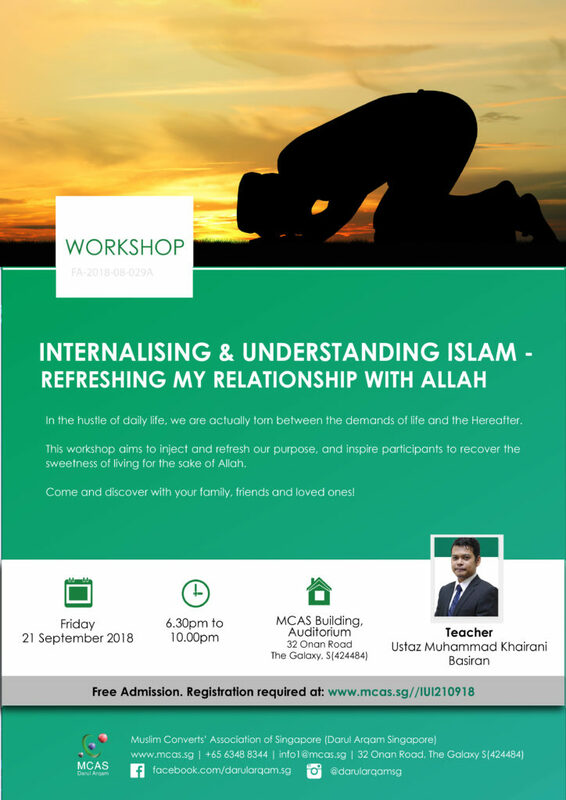 This workshop aims to reach out to both Muslims and non-Muslims alike to explain Islam in a very simplified and interesting manner. To understand Islam fully is to appreciate Islam and to appreciate Islam is to love Islam. Life becomes meaningful, productive and the world becomes a lovely place to live in. Sharing thoughts on an overview of Islam in the context of World Religions and Civilizations. Those who keen, registration requires.